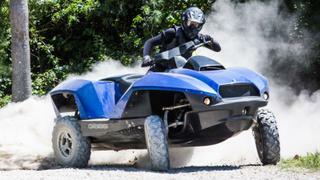 Jet ski or quadbike? Or both? 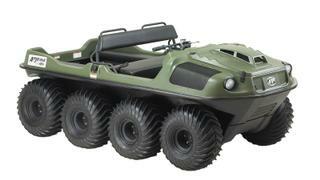 Just flick a switch and four all-terrain wheels fold out of the watercraft fuselage. Manages 72km/h on water and land. Wow your friends and truly go anywhere with the world’s most coveted and capable off-road vehicle. Lightweight and tracked for ultimate performance. 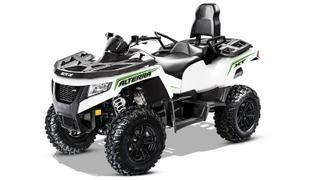 With a 695cc engine, 28cm of ground clearance and 25cm suspension travel, this is a well-balanced ATV – part workhorse, part off-road explorer. 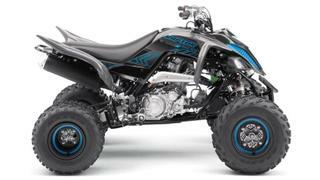 With manual transmission and a powerful 686cc 4-stroke engine, this is a high-spec, high-speed racing ATV. Not for the faint-hearted. 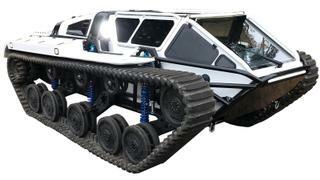 A muscular eight-wheel version of the larger-than-life amphibious ATV, capable of carrying four people on water or six on land.